A man killed his wife and three children over ‘honour’ in Seet Pur area of Muzaffargarh district on Saturday. Police have apprehended the suspect and have registered an FIR against him at Seet Pur police station. SHO Azhar Hameed said 40-year-old Afzal killed his wife Azra with a sharp-edged instrument after he suspected that she was having an affair. Afzal confessed his crime during interrogation. The suspect also said he believed that all three of their children were not his own flesh and blood. He claimed that all the children, a son and two daughters all under the age of five, were illegitimate which is why he killed them too. Rescue officials revealed that there were torture marks on the woman’s face while her collarbone was also broken. Police added that bodies of the deceased were shifted to the Rural Health Centre in Seet Pur for an autopsy while further details will be shared afterwards. Muzaffargarh DPO Imran Kishwar reached the spot and gave assurances that strict action will be taken against the culprit. In September, a man killed his wife and twin stepdaughters in Sargodha. Mehreen Bibi had married Shaukat, a resident of Liaqat Colony, two months prior to the incident. Mehreen also had two twin daughters from a previous marriage who were living with the couple. Residents claimed that the daughters were a source of conflict between the couple. 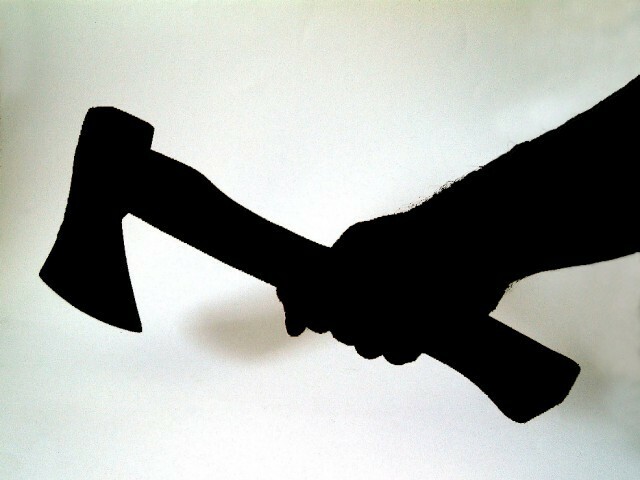 Shaukat allegedly used an axe to murder his wife and his stepdaughters. After murdering them, he locked the door of the house from the outside and fled the scene of the crime.